Locked inside your CD, HRx, and SACD collections is a wealth of music you’ve not yet heard. The DirectStream Memory Player uncovers the musical treasures long-buried in your library. Eight years in research, two years in development, the DMP is our crowning achievement in musical reproduction of optical media. If there are any better sounding players on the market, we are unaware of them. Breathe new life into your CD collection played through any DAC. Send the raw DSD layer of SACD into your DirectStream or DirectStream Junior DAC so you can hear, for the first time, what’s long been unavailable to external DACs in these high-resolution discs. This product qualifies for our risk free in-home trial in the continental United States when purchased directly from PS Audio. What's important to me is playback of the CDs in my collection. Played through the DMP and the DirectStream DAC, my CDs sound better than I'd thought possible. There's life in the ol' CD yet. I can’t think of a better digital disc player than the PS Audio DirectStream Memory Player and DAC. (Neither of these six figure players will play your DVD-a discs) If I had more than two thumbs to raise I would offer them, it’s that good. The only remaining choice is whether you want silver or black. If you’ve bought into streaming source components in a big way, you may find PS Audio’s DirectStream Memory Player will force you—in the nicest, gentlest, and most rewarding way—to reconsider the sonic merits of disc-based music playback. Streaming sources can be very, very good, but in many cases and in many ways, the DirectStream Memory Player often proves to be that extra ‘Nth degree’ better, in the process helping music to sound more vivid, emotionally rich, and alive. Even though this review was really a review of the DirectStream Memory Player and the DirectStream DAC, I felt that I was able to get a good feel for the operation and sound of the Memory Player. PS Audio has done their homework with the release of the DirectStream Memory Player that I found to be a solid multi format performer. I experienced impressive sonic performance in combination with the PS Audio DirectStream DAC utilizing the I2S through HDMI outputs. I also found the mechanical functions of the Memory Player to be flawless. 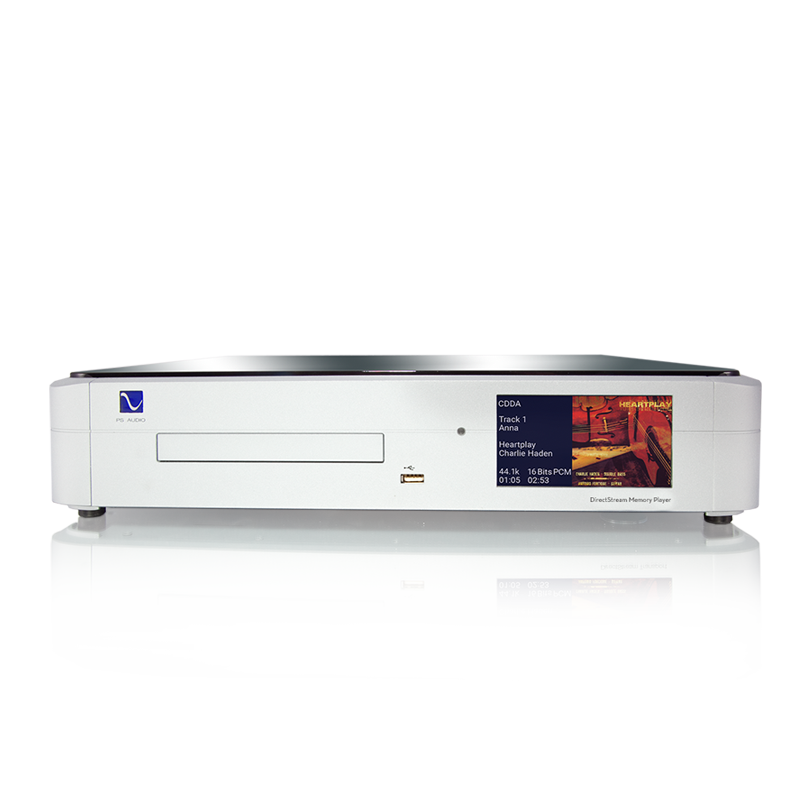 While building on their previous PerfectWave Memory Player, PS Audio has designed a disc player that will reinvigorate the life of large CD and SACD collections with exceptional sonic performance. I must tell you that in terms of pure audio performance it may be in a class by itself—and that fact alone makes it worth its $6k price of admission and a very good value in the world of High-End Audio. In my view the DMP’s extreme clarity, musicality, and absence of the usual noise that clouds instrumental passages sets the DirectStream Memory Player apart from any other digital source in my experience. And the resulting huge, multi-layered, unsullied soundstage it routinely provides makes it the Michael Angelo of sound reproduction in my personal gallery of Audio All-Stars! Unequivocally, this digital player/transport is as good as the very best that I have heard, cost notwithstanding, when paired with PS Audio’s DirectStream DAC. The PS Audio pair’s asking price of $12K gets you very close to the summit of audio’s K2. Highest recommendation. Without any reservation, I simply haven’t heard a more natural and effortless and wholly convincing delivery from a digital source than this. I feel fairly safe in concluding that not only are these components highly enjoyable to hear and use, but that they are also safely on the cutting edge of digital audio reproduction. And I don’t see that premise changing anytime soon, what with PS Audio’s commitment to free software updates to anyone purchasing the gear. I don’t think the digital audio enthusiast could go wrong with this pair! Further reporting on DMP. I keep playing CDs and dropping my jaw as I keep hearing more musicality and revelation of detail with it. Forget comparisons. I haven't got around to comparing particular CDs to that playing from the PWT or optical disc input to my IBM laptop server through the LanRover and into the DS DAC. Somehow, listening to the music on DMP keeps me from getting to that. So where to begin. I got my new player this past Friday and let it play on repeat for the last 36 hours. my reaction is this: WHOLLY GUACAMOLE. This unit is a serious and wonderful upgrade from the already amazing PWT. I would say that the difference is almost as great as when i switched from the Marantz Black Pearl player (a fantastic stand alone unit i might add) to the PWT. One of my favorite demo cds is So by Peter Gabriel. it is both well recorded and yet very frustrating because of an overly bright/sizzly top end. the PWT does a great job with it, but the DMP allows more power and oomp to come through. plus the top end, while still bright, is a lot less sizzly and a lot less congested. I think the strength of the DMP is its incredible ability to resolve inner detail without adding brightness. So the music is both more detailed, more powerful, and less congested. I think that Paul and his great team have a masterpiece on their hands. I have said this before with regard to other gear, but i cannot imagine how this beast can be improved on. But knowing Paul, and his team, it will be for sure. THANKS GUYS. Well, so much for a protracted shoot-out between the PWT and the DMP. It took about 15 seconds of listening to one of my favorite CD’s (Consuela Lee-Piano Voices, Mapleshade 08332) to understand what Paul has being saying about the improvement in Red Book CD’s with the DMP. The tracks are all piano and drum duets. Having played the piano for most of my life, I feel comfortable with its sound. The improvement in tone is impressive. There is much more of a sense of each individual piano key being struck. The piano on this CD with the DMP compared to the PWT sounds much closer to the sound of the live piano in my living room. No question I willing be sending in the PWT to complete the trade-in. That first shocking experience was followed up with an even more revealing test the following day when I did the same type of A/B testing with identical copies of several standard red book CD’s. The DMP is magical when it comes to playing back this aging format. If you haven’t heard a CD played through the DMP and DS DAC, I would argue you haven’t heard what that medium is capable of. I was able to compare the CD 44.1/16 version of Norah Jone’s Come Away With Me album with the 192/24 version and the results surprised me. Yes, the hi-res version was still better, but only ever so slightly, and in ways that I would have not have imagined. A very interesting experience. Finally, I got down to trying out the SACD’s. For years I had read about the technical superiority of DSD recording but never felt it measured up to the hype. I have owned a number of playback systems capable of playing SACD’s including units from the Sony ES collection, Esoteric and Oppo. While they have mostly been pleasing to listen to, they have all seemed to lack the quality of imaging, sound staging and dynamic reproduction of the PCM playback equipment I had at the time. That opinion of mine is forever changed. IMHO, the DMP along with the DS DAC playing SACD is the single greatest source of music reproduction I have ever heard outside of a studio. Whatever positive qualities you want to attribute to “analog” sound, this combo has in spades and surpasses it. Whatever negative qualities you want to assign to digital music, this eliminates it. It is the closest thing to perfection I have heard yet in my system, or any system for that matter. I didn’t think there was a chance that the way the zeroes and ones were being streamed to my DAC would have any real audible effect in my system. Boy, was I wrong. First impressions … fabulous sound stage and clarity. No comparison with PW Transport – far superior even on normal CD’s. Did a bit of A/B with digital files at 44/16 (ripped CD at Apple Lossless v CD) both played through the DS DAC. Listening while I work but the clarity and presence on SACD Brothers in Arms is amazing. So, imagine walking about in New Orleans, and around the corner a band of tuba, trumpet, trombone, and drums starts playing. Immediately you know it's live, because t he music is dynamic and alive. The PWT is a fine source, and I have truly enjoyed it. But, redbook through the DMP has moved my music experience significantly in the direction of New Orleans. Instead of using audiophile descriptors, I prefer to talk about the effect the music has on me through DMP. I'm energized, alive, on edge, and elevated. Music that I know can once again surprise and delight. On discs that I have used to evaluate sound, in snippets, I now find myself listening to the whole thing through. And, I'm not thinking about sound, but instead, I get engaged. And that's what I look for. How does the musical experience affect and change my response. Usually it takes a while to figure it out when comparing A and B. This time, between the excellent PWT and the DMP, using only standard CDs, it took only a short while to realize that my listening experience had been transformed. And that is a beautiful thing. What I can say from my experience with the DMP so far is that I have noticed details from playback of music that I have never been attentive to before, either from a recording or as a much-younger amateur playing in number of music ensembles or as a member of an audience at a live performance. And noticing such nuances for the first time is singularly delighting me and -- much to my astonishment -- able to feed an experience that bleeds well beyond what I know is coming through my ears. Call it swing, or call it emotive energy; the DMP has it. And if that is something that I have only exceedingly -rarely experienced from performances of live-music that I have attended, so what? I am not going to let that impugn the integrity of what I am now able to hear over the sound system I am listening to right now. The DMP amounts to the single greatest leap in enjoyment and sound quality that I have ever experienced from a new audio component. With Redbook discs the quality of mastering has become very noticeable and with the PMD’s dynamic reproduction the soundscape is vibrant. . . or rippling calm. . . or richly resonant. I would say the most pronounced sonic difference between the PWT and DMP for me is the image, the shape of the sound of instruments. With the PWT they are often fleshed out, embodied in space so to speak. The PMD seems to have just a bit less of definition but reveals the interconnection of the instrument with its surrounds so naturally that I believe this is possibly the more accurate representation of the recording. The overall soundscape seems to cohere musically. I have played Super Audio CD's, regular CD's, my recorded CD's and even music from a USB key. The results are so amazing I find it hard to describe them. I am hearing things on some well know recordings that I have never heard before. Ambience, transparency, black background, soundstage, all superior!!! I was using an Oppo before and its like comparing night and day. PS Audio has outdone themselves with this device. My congratulations to them and I hope they have great success selling this item. The first thing I noticed – and this was immediately after I plugged it in – was what others have reported – piano's actually sound something like a real piano. Since the piano is probably the hardest instrument to reproduce correctly, it is really nice to finally hear a realistic reproduction – not perfect, but way better than I can recall ever hearing on any system (of course, my memory ain't what it once was!). I seems to me that what is unique about the DSM is the ability to hear the “body” of the piano, rather than just the notes. This same ability also applies to the cello and the bass. Hearing the body of the instrument (and by that I believe I mean the reverberations produced by the instrument body) makes a huge difference. I even notice this quality with some drums – especially lower frequency reproducers. Since this was with no break in on the DSM – I wonder how much better this can get! Another area of note – again as others have mentioned – is the sound stage width. It is substantially wider than my PWT (Perfect Wave Transport). At first I thought maybe my speakers were too far apart because there was a huge hole in the center of the sound stage – then a vocal came on, and perfect focus – no hole, just very precise and wide placing of instruments from speaker to speaker – not just everything clustered around the middle. As far as sound stage depth is concerned – my current setup is not as conducive to depth as I have had in the past, so it is not quite as noticeable – plus, I will wait until my DSM breaks in more before I start getting to critical listening. I have spent some hours today comparing red book cds and SACDS played through the DMP and the old transport. Clearly there is less “smearing” through DMP. The difference is more noticeable on SACDS, clearly in favor of the DMP. Just astonishing how much closer SACD via the DMP brings one to what one would hear in a live performance. This new transport is the winner that I was hoping for which is why I have already put in an order for a second DMP for my system in the country home. The presentation was dramatically different than what I have been accustomed to in my system. My best SACD players (from Denon and Arcam) are warm, vinyl-like reproducers. I ease right into the listening. The DMP when just installed was like a speed racer in comparison, detail filling the air and tickling the senses, in that “fuzzy” and “splashy” way the sound had in the first few hours of use. As the unit settled in I was startled a few moments by the realistic and insistent percussion that jumped out at me on the Mobile Fidelity “On the Corner” SACD I was spinning. That was my first sign that SACD playback on the PMD would be something special. With only a few hours playtime the DMP has already shown itself to be a far superior extractor and conveyor of data than the PWT, BridgeII, or Auralic Aries. The best analogy I can come up with to describe what I'm hearing is viewing a landscape through a window. Aberrations to the image caused by passing the light through even the best glass result in a loss of detail and softening of edges. Removing the glass restores the fine detail and edges are sharper. With the DMP the aural window has been opened. Micro details and texture is more evident. The attack of percussion instruments has sharper impact and the decay is more naturally sustained, not truncated. Everything just sounds more right. The soundfield is populated with ambient details that weren't evident with the other sources. These aren't dramatic differences, but taken in total make it easier to suspend reality and get pulled into the music. What I'm really trying to say at this early stage is that whatever the DMP is doing I like it. This is the finest source component combined with the DS I have heard. My vinyl components, which retailed for a couple of times the MSRP of the DMP, come close but inevitably lose out. Perhaps they will equal it when the BHK phono section comes out, but for now the DMP with the DS dac is the reference source in my system. Judging by what others have said it can only get better with time. I knew this was it! It has been 2 weeks since I installed the DMP into my system. I knew during the first track of the first CD that I played, that this player would replace my PWT. The PWT was and still is a great transport. But, the DMP is just so much more musically enjoyable. As I look through my several pages of listening notes, certain words were written on many occasions. Natural – coherent – detailed –airy – dynamic – open – visceral – nuanced – musical – 3 dimensional and realistic. No…the DMP doesn’t put a band in your listening room (at least not with my system in my room). But it does an outstanding job of delivering a very believable reproduction of a performance. Pick an instrument……say a trumpet. The initial bite of the trumpet, is there! The purity of the note is crystal clear as it spews forth from that trumpet and envelops you. The decay of that note diminishes naturally while it maintains the proper tone and scale. Fantastic! The same scenario holds true for other instruments and vocals. All the nuances that are present “live” are fleshed out and kept in, what would seem to be, perfect time by the DMP. With the DMP in my system, it is effortless to have an emotional connection with what is being played. PS Audio should be very proud of this product. Great job!!! When I received the DMP earlier this week, I did not expect too much and thought that the DMP would require a significant break-in period also. I could not have been more wrong. I find the improvements over my the original PWT which I had owned since 2009 to be striking. My early impressions may be summarized in 2 areas. Sense of Space: The minute sonic details between the players (instruments) is revealed very precisely - the experience can be almost eerie. No longer is the space between the players a vacuum. This is a huge step forward in making my equipment more invisible. The relationship between the instruments is delineated clearly and remarkably three-dimensional. The depth of a symphony orchestra is appreciated better than before. The volume (I use the DSD for volume control) is not longer an issue of loudness. The sound of the instruments grows or shrinks depending on the setting. Tonality: With the DMP, there is something very "right" about the tonal presentation. Live classical music performances (especially chamber music) are not particularly loud - yet the tones are all there. This is same experience I have with the DMP. I am listening at lower volume levels yet the sound is all "there." While engulfed in a sound-field, I find that the music sounds the way it was intended. Perhaps my DMP is still breaking-in. If there are more improvements to be had - that would be truly astonishing! When I received the DMP, I did something I normally don’t do, I hooked it up and played it cold right out of the box. I set the DMP on top of the PWT and used the same wires on both units. I have a 1/2 meter HDMI cable already that I used on both units for I2S into my DAC. I actually reversed the two transports, PWT on top of the DMP to see if it made any difference, It did not. My A/B comparison was as close to equal as I am able to do. I currently only play red book CD’s but will get into SACD’s later. I don’t have a turntable, so no comparison there. The first thing I noticed was how wide the sound stage was, way beyond the outside of the speakers. The next thing I noticed was the snappy attack on individual notes played in the music. The lower bass notes were not as defined as I remembered on the PWT so I decided to play a break in CD for a few hours to see what would change. Remember, the DMP is cold out of the box. One of the problems I’ve had with CD’s over the years has been a slightly irritating edge in the mid range of any speaker I have owned. If the song I played didn’t have much of this certain frequency, it was was much more pleasing to listen to. Once I keyed onto this distortion?, I couldn’t get away from it. I am pleased to say, The DMP does not have this irritating edge!! !……THANK YOU PAUL!!! After letting the DMP warm up and break in for about a day and a half, I did some listening. The first thing noticed was the bass was defined again…..YES! Each instrument is clear and well defined and in a space of its own. The instruments and voices jump out of a clear and ambient stage with a sense of the venue or room they were recorded in. I listened to a Tony Braxton CD where she is singing out in front of a row of stringed instruments that seemed placed along the entire width of my listening room, her voice was clear and sweet in the middle. It is interesting that it seems I can play songs at a lower volume and get full dynamics including bass. In contrast, the PWT seams smeared and congested. I don’t want to seem down on the PWT as I’ve enjoyed it very much over the past few years but the DMP is a huge improvement. to be honest I was somewhat shocked how good it sounded. Without going into the usual descriptions, i have what sounded like a real band in front of me, the sound stage pushed forward, back and laterally 3 feet, the kick drum thumped into my chest and each instrument is now clearly discernible, in its own space with wonderful decay. All the sound and stereo effects added by the sound engineer were now clean and in their own space. The electric bass was deeper , cleaner and more musical than anything i have heard of before. After a couple of listens I move to a red book copy of Fleetwood Macs 1975 album of the same name. There was not the full magical transformation of the SACD but still a huge improvement over the PWT. The most standout improvement was to the rhythm section, bass was clean tight and musical as where the snare, kick, tom toms and bass drums. The rhythm really snapped at a great pace. As a drummer and bass player this sounded again more like the real thing. The cymbals and hi hats were airy, clean tuneful and not splashy at all. Big improvement. On this one listen with one CD I would say the CD gets within 80% of the SACDS magic. With CD, forget it, not even close. The DMP blows away the 16 bit files of the same recording from the Aurender. The cd files sounds a bit flat and veil. I’m using the Aurender with the DirectStream dac since the Aurender does not have a built in dac. I’m also using the top USB cable from Cardas with the Aurender. The Aurender is much better than the Marantz on 16 bit material. The DMP really does sound like high resolution with Cd. Hard to believe CD can sound so good. 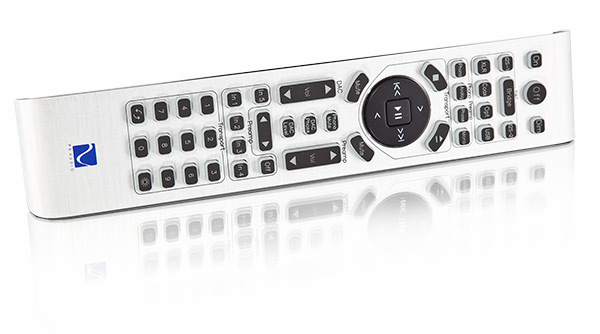 ....the sound of the DMP completely blows away the Oppo 95 player with DVD Audio or any other disc I try. Hard to believe. I thought digits are digits. That’s when it happened.. listening to the 2nd movement (poco adagio), I just put the pen down. It was simply amazing, the music just took over, major goosebumps/emotional response to the sound of the recording via DMP. I had to replay it three times. in 2009, when I learned that PS Audio’s first generation PerfectWave Transport would not be SACD capable, I was very disappointed. One of my very first posts to this forum was pleading to Paul McGowan to please include SACD in his new transport. His response explained about the Sony licensing restrictions of transmitting the DSD content without copy protection. So I patiently waited another seven or so years for the engineering team at PS Audio to work out a scheme which would accommodate both the SACD devotees and Sony’s lawyers. And, when notified a few weeks ago that I would be included in the beta-test program, I was thrilled! I have had the DMP for almost two days now, and even in this short time, I can confidently proclaim that my patient seven-year wait has been resoundingly rewarded. For all the preamble, what I have to said has already been said by others – the DMP is a better source. There appears to be less noise, letting the subtle microsounds come through in a smoother, more realistic way. For as good as the PWT is (and it is), it sounds almost like there’s a very fine bit of sand mixed into the music, making the music sound a bit less real. The DMP (and again I’m amazed by this as I thought the PWT already did great in this regard) is also much more musically engaging. I found myself often not really caring about listening to the “sound” of the music. Most importantly, my toes have been a tappin’ through all the rounds to-date. If they weren’t none of the above would matter. Compared to the PWT there is no comparison with every aspect of the presentation being better. On SACD I don’t have another player hooked up to compare it with however I have a couple dozen SACD’s and they never sounded like this before. After just two days I have to say I’m totally impressed. Congratulations to the PS Audio team.